Hiring a professional accountant to prepare your taxes can take a huge weight off an entrepreneur’s shoulders. Here at AA Tax & Accounting services, tax preparation is one of our primary services, and it’s one we do with enthusiasm and efficiency. If you decide to go it alone, here are some tips that will some of the uncertainty out of tax time. It seems elementary that a business owner should file taxes. However, every year entrepreneurs of every ilk set up their shingle, following their dreams and becoming their own bosses. 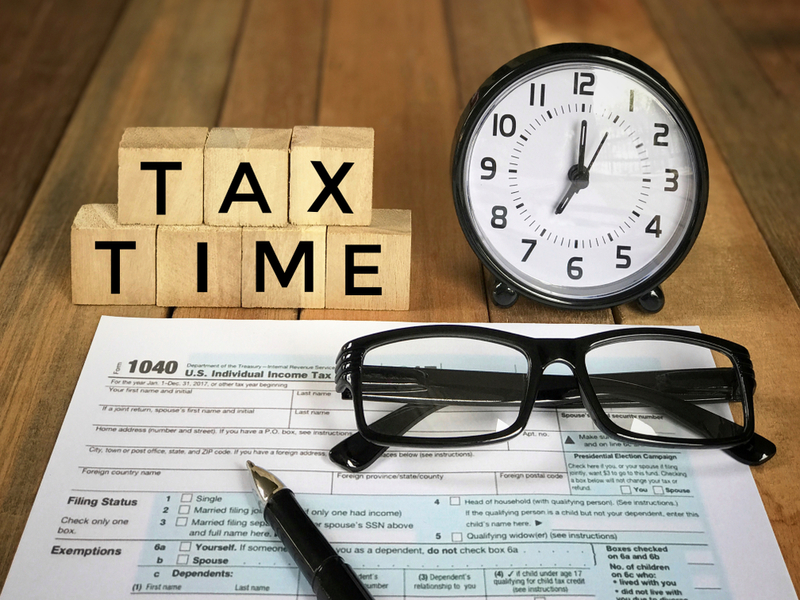 Some of these let their tendencies toward disorganization and procrastination get in the way of making their tax deadline. If you’re in this boat, filing your taxes late is better than not filing them at all because any penalties you rack up for filing late or not filing will keep accruing until you fix the problem. Some people fail to file taxes because they’re afraid they can’t pay the money they owe. Individuals and business owners alike often owe less than they think, and may even have a refund coming their way. If you fail to claim a refund, however, it goes away after a few years. It’s best to push through your trepidation and file to avoid penalties. If you do owe more than you have on hand, the IRS offers installment plans to help you get back on the right foot. There are many different forms you may need to fill out, based on the nature of your business. Do you operate a sole proprietorship? Then you should be filling out a Schedule C form. Other forms apply to a partnership, a corporation or a limited liability company (LLC). There are employment tax forms to be taken care of and, if you work with contractors, you’ll want to utilize 1099-MISC forms. There are also forms to help you catalog myriad aspects of your company, including business expenses. If you’re not sure how to decode the whirl of letters and numbers to make sure you’re filing correctly, it’s best to consult with a company experienced in business tax preparation like AA Tax Accounting And Services. If you keep accurate records of these expenditures as you go along, writing them down and saving receipts, it’ll be easier to add them up and include them when you file your taxes. In the off-chance you are audited, your clear record-keeping will allow you to prove your tax deductions are legitimate. You don’t have to reinvent the wheel when it comes to filing your small business taxes. We encourage you to learn from the most common mistakes by the many entrepreneurs who have gone before you. There are certain pitfalls small business owners tend to succumb to when it comes to tax preparation. You can find some of these in our small business tax preparation checklist. If you have any tax or accounting concerns, contact us today to meet with our accountant.